We learned a bit from the Origins 2005 movie-making process, and made some changes for Gencon. We changed the mounting system for the camera, and it's much more stable. 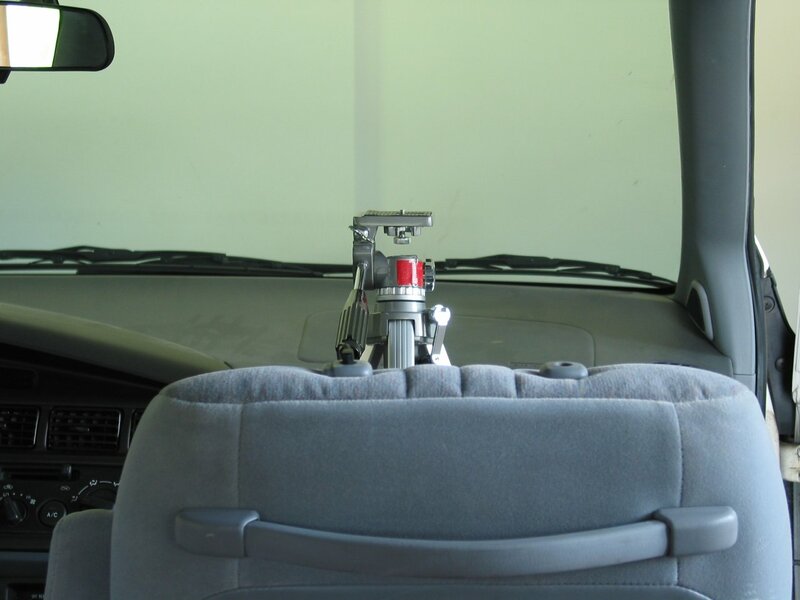 Rather than put a precarious mount point near the large feet of a passenger, we instead removed the front passenger completely, and mounted the camera on a tripod with one leg un-extended, using it essentially as a bipod. The top of the tripod was anchored with some nylon webbing to the glove compartment, which proved to be quite successful. 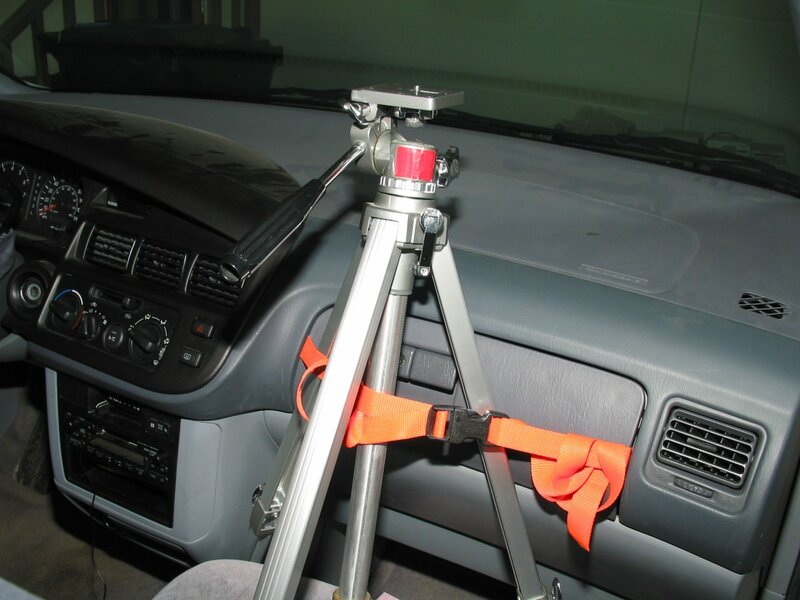 The extra tension provided by the webbing forced the metal tripod legs against the vinyl glove compartment door, where it stuck securely, and the bipod feet anchored against the edges of the floor mat proved more than sufficient. This also keeps the camera up higher, which I hoped would minimise interference from the windshield wipers and reflections of the dash. The final movies show that hope was unfounded and more work is needed. Without further ado, the movie down to Gencon (92MB) and the movie on the way back (92MB). Favorite scenes from the movie there are the waving plants starting at about 2:40 into the movie, and the window washers on speed at the end, starting about 4:35. Favorites on the way back are the man in red who can't decide where he wants to sit, at about 19 seconds in; a random Con-goer loading his van for the trip home at 25 seconds; and a gorgeous 50-second clip, starting at 1:15 while the caravan sat at a restaurant for dinner, showing cloud movement and two rain / evaporation cycles.